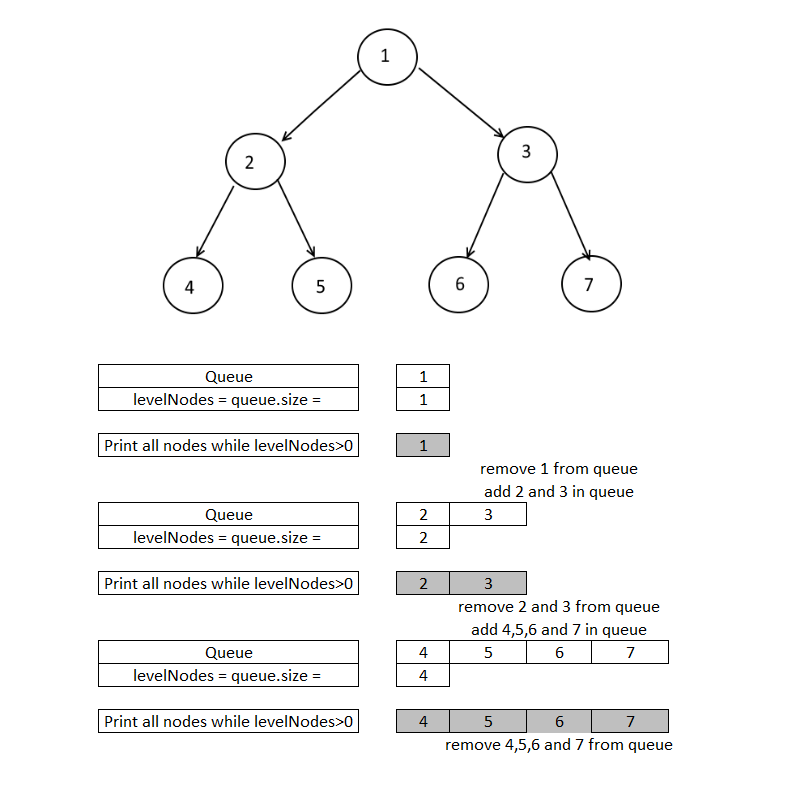 Objective: Given a Binary tree , Print each level of a tree in separate line. 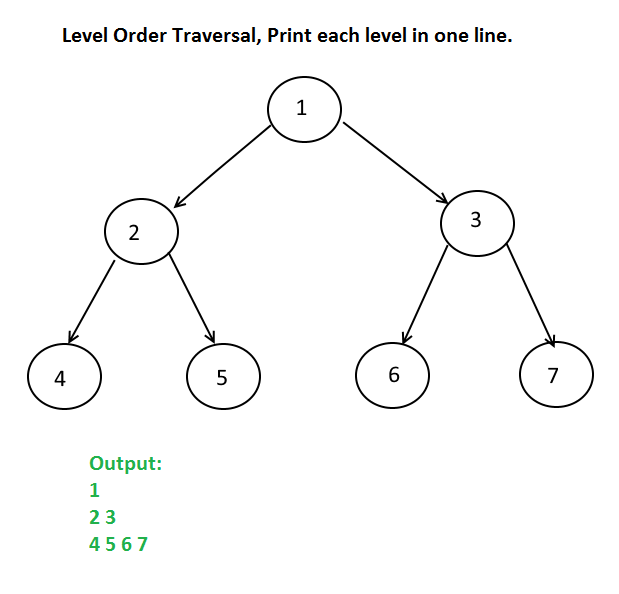 Level Order Traversal, Print each level in one line. Get the height of the tree. Put a for loop for each level in tree. for each level in step 2, do pre order traversal and print only when height matches to the level. Time Complexity : O(N^2) – because each level you are traversing the entire tree. Now while levelNodes>0, take out the nodes and print it and add their children into the queue. After this while loop put a line break. Next story In a Binary Tree, Create Linked Lists of all the nodes at each depth. Previous story Find whether if a Given Binary Tree is Balanced? 251 queries in 0.477 seconds.